It’s time I followed up on my blog’s description, and try to link together the many people in the Schuylkill Valley striving to help their local communities improve the quality of life. I begin by recommending four websites in the text that follows. This is only a start; I hope to discover more such sites and would appreciate hearing of any you know. We need to spread the word about the eternal truth I quote at the conclusion of this post. Three locally oriented websites have also caught my eye, at least so far. Each focuses solely on its own community, but even a casual search of their articles produces familiar terms and concerns. Their concerns should be more widely understood, because they issues they address are shared across the Delaware Valley, each in relation to the status of the community under scrutiny. Thus I recommend that local community activists, regardless of their specific location, peruse these sites regularly, and use them to learn more about the nature and complexity of our shared issues. 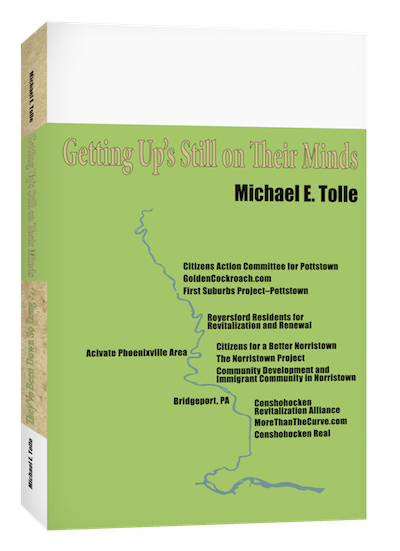 We are citizens of Pottstown, Pa working together to achieve accountability for the Future of Pottstown by holding slumlords responsible for the blight, crime and destruction they contribute to our community. We encourage our Elected Officials, Municipal Employees, Montgomery County and the State of Pennsylvania to embrace an expansive, borough-wide approach to planning and regulation through education, communication and transparency. 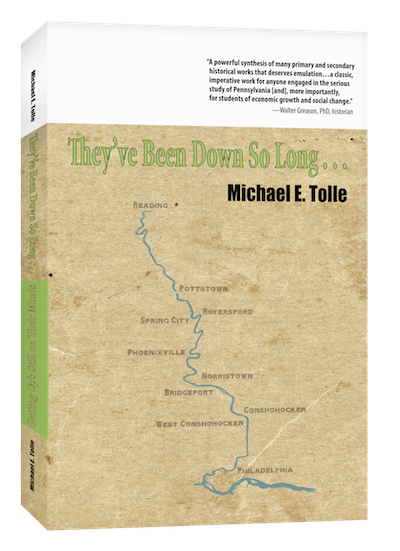 I wanted to talk about Conshohocken. I wanted a place to express my observations, my complaints and my thoughts. My immediate impression was that the tone of the three sites listed above is directly related to how each borough is currently faring in today’s economic climate. I would like to explore that thought further, and hope to. I recommend you all add all these sites to your periodic reading list, although I neither endorse nor echo any specific statement they might contain. We simply need more voices added to the conversation, and for residents of the Schuylkill Valley, these should be included. Did Conshohocken Revitalization begin with Section 8 Housing? I was doing some research for future blog posts on the local impact of the federal Urban Renewal program when I encountered a website with the wonky name of “Redevelopment in Conshohocken Online Information” (http://www.conshohockens.com/). In the section on the history of redevelopment’s progress in the borough the website makes a claim that is worth noting and discussing. 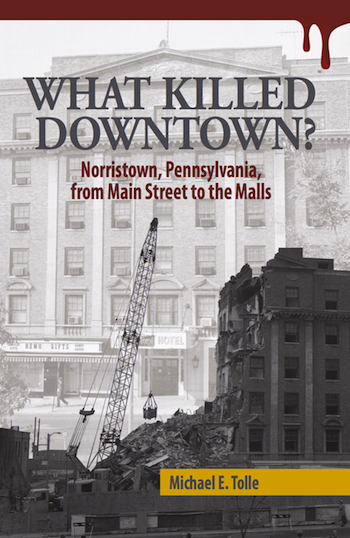 I have trouble accepting it at face value, but I have done no specific research on Conshohocken’s post-WWII history. So I am asking you for help. The website’s home page briefly covers the early history of Conshohocken. More recent times dominate the narrative, beginning with the crises of both the Alan Wood Steel and Lee Tire companies by the 1970s. The page focuses on a 25-acre site designated as Conshohocken’s Urban Renewal Area, the core of old downtown. Demolition of this area began after receipt of a federal grant in 1974. The site relates the first faltering steps of proposed projects, through the failure of the (second) borough redevelopment program in 1981, allegedly due to high interest rates. Can this be true? Was Conshohocken’s first real step toward revival the construction of Section 8 Housing? Doesn’t this fly in the face of all that is accepted about types of residences, that apartment dwellers contribute less to a community than homeowners, and that Section 8 dwellers contribute the least of all? The chronological sequence of construction is indisputable, and the claim that the developer’s success with the Pleasant Valley Apartments led to its being selected for further development rings true. Does this make a Section 8 Housing project the first actual achievement of borough revival? The website claims this to be so, but is there another interpretation? What is the general perception of those who lived through this time? Did they share this view, and welcomed the Pleasant Valley Apartments? This is a subjective question for sure, and one that can be best answered by Conshohocken residents, particularly the “old Conshy” hands. I want to hear from you! This is an opportunity to be heard on a subject on the lips of many right now, your neighbors just upriver in particular. Your knowledge can only help, and better inform the controversy. Please, before you comment, check out the site to see what it actually says; don’t just take my word for it. Then tell me—and by extension, a steadily increasing number of people—what you think about this well, interesting observation.